If you have suffered injuries after being hit from behind in a car accident, you are not alone. Rear-end collisions are the most common type of car accident. They are also the most common cause of whiplash, a painful and potentially disabling neck, and back injury. Intersection accidents occur when reckless drivers run red lights and stop signs. They happen because of failure to yield right-of-way when turning left into intersections. They result in T-bone collisions, which can cause serious injuries. Others are rear-ended at intersections. Some negligent drivers make deadly mistakes at intersections that cause head-on collisions. Babcock Trial Lawyers helps victims of intersection car accidents in Baton Rouge set things right financially. We work to obtain fair and appropriate insurance payments for the medical expenses, lost income, property damage, and pain and suffering of intersection accident victims. We’ll provide a free case review regarding your accident, and if we take your case we won’t charge you a fee unless we obtain compensation for you. Further, if at any time during the 30 days after we are hired you’re unhappy with our legal services, ask for your case file and we will turn it over within 30 days without you owing us any attorney’s fees or costs. That’s our 100% Satisfaction Guarantee. Baton Rouge auto injury attorneys Stephen Babcock and Chase Tettleton have been named among the Top 10 Personal Injury Attorneys in Louisiana and are members of the Multi-Million Dollar Advocates Forum, trial lawyers who have won million and multi-million dollar injury cases. We know how to help after a car accident. More than one third (37 percent) of car accidents in Louisiana happen at intersections, according to LSU’s Highway Safety Research Group. In East Baton Rouge Parish in a single recent year, there were 9,264 intersection accidents. In Orleans Parish, there were 11,404 — 54 percent of all car accidents in the parish 2016. Intersections force drivers to cross lanes of traffic and/or turn right or turn left, often after stopping at a stop sign or stoplight. Intersections force conflict. A 2010 study of intersection crashes by the National Highway Traffic Safety Administration (NHTSA) said 96 percent of intersection accidents were caused by driver error. A few intersection crashes (less than 3 percent) were attributed to weather conditions, vehicle failure or other environmental factors. A side-impact crash occurs when a vehicle slams headlong into the side of another, resulting in a T configuration. T-bone accidents are also known as right-angle or broadside collisions. Occupants of the car that is hit receive the full impact of the colliding vehicle, because doors and side panels of vehicles offer far less protection than the front and rear of motor vehicles do. A sideswipe occurs when two vehicles moving alongside each other collide and at least one of the cars is struck along its side. Intersection sideswipe accidents typically occur as a driver makes a turn into the intersection and either attempts to move across lanes or immediately pulls into traffic. In a rear-ender, a vehicle runs into the back of the vehicle ahead of it. Rear-end accidents are often blamed on the following vehicle driver’s inattention, but are also caused by the lead driver stopping or slowing suddenly. Rear-end accidents are the most common cause of whiplash injuries. A head-on crash occurs when the fronts of vehicles traveling in opposite directions meet. A head-on collision is one of the most deadly types of car accidents. At intersections, head-on collisions occur when one driver turns the wrong way and into oncoming traffic. You may recognize the type of intersection accident you or your loved one was injured in. It was probably caused by one or more of the factors found in the NHTSA intersection crash study outlined above. Babcock Trial Lawyers will aggressively investigate the cause of your accident and determine who is responsible. With that information, we will build a case to seek the compensation you deserve for your injuries and other losses. 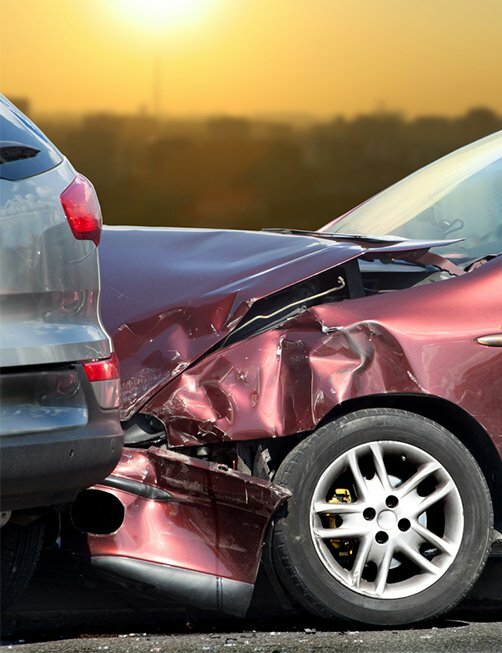 Determine how your intersection accident happened and who should be held responsible to you. Have medical consultants analyze your medical records to determine the full extent of your injuries and medical costs. Review additional records and your statements about other losses, including work absences and your pain and suffering. Search for insurance policies held by the at-fault driver in your accident, and by you and/or other parties potentially liable to you. Our objective is to calculate the full extent of your accident-connected losses and seek the maximum compensation available to you. Louisiana law requires drivers to carry minimum auto liability insurance coverage. In a serious car accident, the injured person’s medical expenses, lost income and other losses will quickly exceed what’s provided by minimum insurance coverage. And not only do few people buy insurance beyond minimum coverage, it’s not unusual to learn that the responsible driver is uninsured. Your own insurance carrier may have a duty to you as well. If the driver at fault in your accident has no insurance or too little to meet you losses, we would turn to your underinsured / uninsured motorist (UIM/UM) coverage to obtain compensation for you. We would also look at additional auto insurance, medical payments coverage or health insurance coverage or possibly a homeowners’ policy that might be applied to your losses. 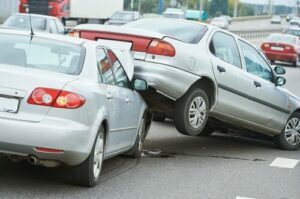 In some cases, a third party may be held responsible for a car accident, such as the at-fault driver’s employer if the errant driver was on the job at the time of the accident. It is important to not overlook the fact that Louisiana is a “pure comparative negligence state.” By law, the amount of compensation, or “damages,” you recover in a claim could be reduced according to your role in the accident. Any fault assigned to you in a car accident would be expressed as a percentage (10%, 30%, 40%, etc.). The overall compensation you receive, whether in a jury award or a negotiated settlement, would be reduced by that amount. However, even drivers who bear a portion of the blame for an accident can still recover some amount. Babcock Trial Lawyers will work tirelessly to identify all insurance applicable to your claim and, having built a case of solid evidence, press insurance companies to pay the full amount provided in policies they have issued. In the meantime, we would work to mitigate any blame put on you, including vigorously challenging any attempt by insurers or others to falsely accuse you of being negligent. We will fight for you. In negotiations or in front of a jury, we stand fast for making sure insurers do what’s right by our clients. The action you take immediately after a car accident can have a significant impact on a potential legal claim for compensation. The most important immediate thing to do is to remain calm and proceed in a business-like manner. Treat the other driver, passengers and anyone else at the scene with respect, regardless of how they act. Check yourself and others for injuries. If anyone is injured, phone 911 for emergency assistance. When emergency responders arrive, cooperate with them. If they say you should go to the hospital, go. Report the accident. Phone police (or the local Sheriff’s Department) to report the accident. Cooperate fully with police. Answer only the questions you are asked, and only with facts. Do speculate about what happened. Ask how you can get the police report about your accident, and then do so as soon as you can. See a doctor. If you do not obtain emergency care, see a doctor within 48 hours of an accident. Some serious injuries have delayed symptoms. In addition, obtaining medical care initiates documentation of your injuries for a claim. It is also important to follow all doctors’ orders. Document the accident. If possible, get photos of the vehicles and their damage, and how they sit in relation to one another after the accident. Photograph skid marks and debris, or any other property damaged in the accident. Photograph your injuries and anything else that might tell the “story” of the accident. Contact your insurance company. Call your insurer as soon as possible to report the accident. Answer questions truthfully, but do not blame yourself or others, and do not downplay your injuries or vehicle damage. Get vehicle repair estimates if instructed to do so. If an insurance adjustor contacts you, be careful what you say. Don’t accept blame for the accident. Never sign anything an insurance company representative presents after a serious car accident unless an attorney working for you advises you to. Save records of the accident. Create a file for all of the records, reports, receipts, correspondence, photos, etc., connected to your accident and injuries. Make notes about what happened and how you were hurt. As you recover, make notes about your medical treatment, pain, progress, setbacks, and any work, leisure activities or special occasions you miss because of your injuries. Keep the accident to yourself. Do not publicize potential legal action over a car accident injury. Stay off of social media. Talk only to your attorneys and doctors about your car accident, injuries, recovery and potential legal claim. Contact an experienced car accident attorney. To protect your financial future after a car accident, get in touch with an experienced auto accident lawyer. In Baton Rouge, and all across Louisiana, Babcock Trial Lawyers knows how to protect your rights and pursue the maximum amount of compensation for you and your family.